Considered a scourge by many, graffiti has long been used by gangsters as signals and warnings, and by political activists to make their message known. In recent years graffiti has been recognised as an art form uniquely developed in the twentieth century. Today many of the best street artists are revered and many major cities are garlanded in vibrant wall paintings. 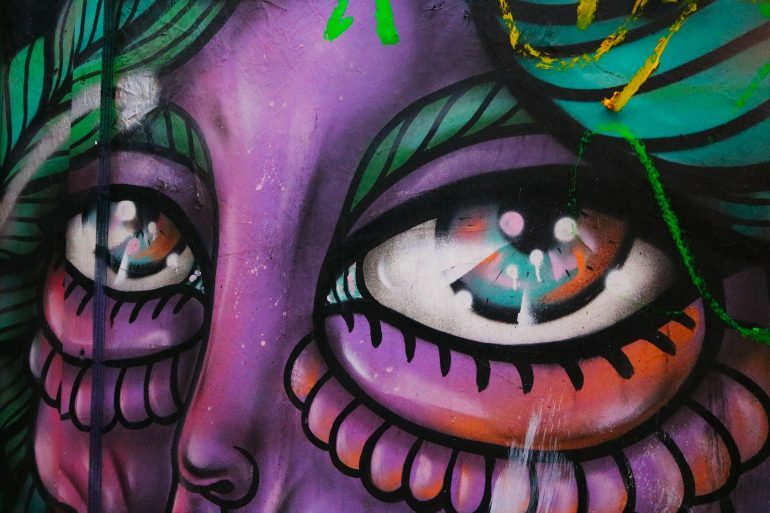 The best graffiti is transforming dull and grey inner cities into open-air art galleries. Those who follow us will know that we are always on the lookout for new and exciting ways to get around. Planning a holiday to see your favourite graffiti artists could be a great way to see the world, and you’re likely to see parts of the world where you would not normally go. Hosting two graffiti festivals each year, Montreal’s inner city is full of interesting and surprising graffiti. Murals painted by famous street artists have transformed many of the tall buildings and grey alleyways. The city has invested in the creation of public murals. Along the way, Montreal has gained a reputation for being a young and trendy city, sporting some of the best graffiti in the world. In June the Mural Festival is a celebration of the arts, and more particularly of great graffiti. Street artists from around the world compete for the opportunity to present work at this festival, producing more than eighty new works of art each year. This has made Montreal the world leader in Street Art. Running for twenty-two years, Under Pressure, the world’s longest running graffiti festival celebrates the arts in August. Much of the art from these festivals is left behind making walking tours through Montreal highly enjoyable. If you know where to look there are hundreds of smaller works of art to be found in back alleys and in doorways. 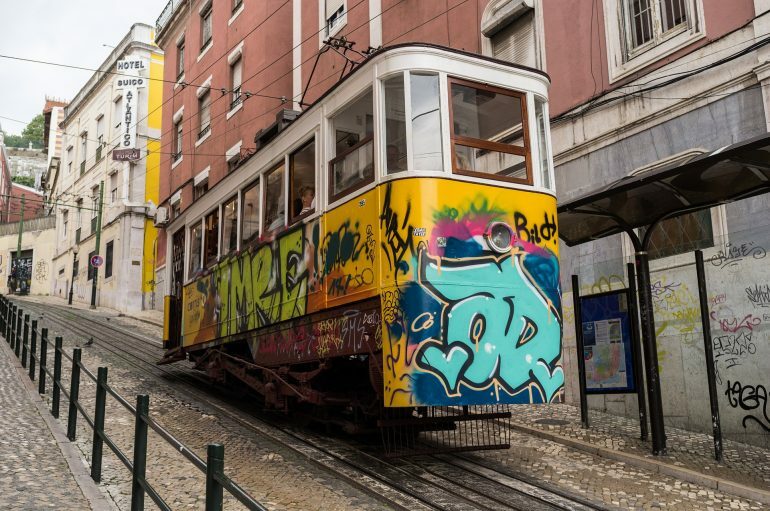 Great graffiti is to be found all over Lisbon, but plan transport ahead of your trip as walking around Lisbon is not for the faint hearted. It is a city of hills. Taxis and public transport are readily available, and trackside graffiti is quite common so you should enjoy the trip. There are more than one hundred and sixty great graffiti locations in Lisbon, and you will find work by some of the best street artists from Brazil, Spain, the United Kingdom and Italy. 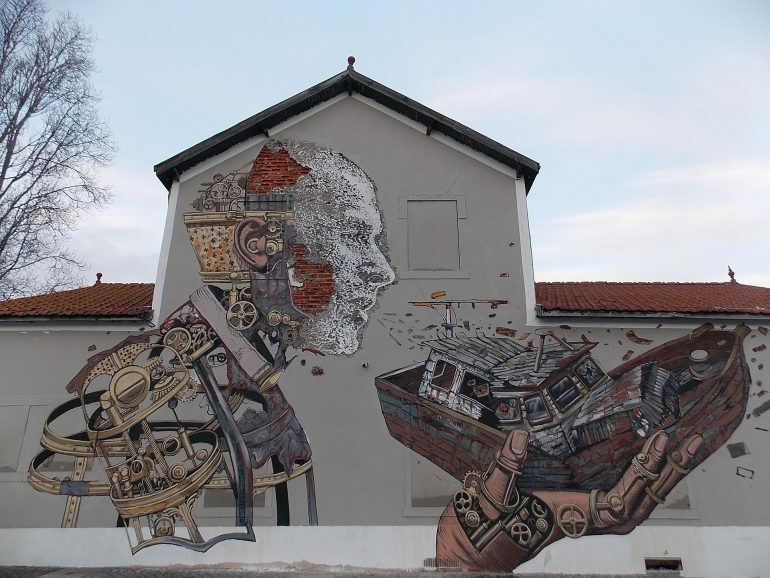 Several years ago the Lisbon City Council, in a drive for urban renewal, started the Crono Project, which made the walls of derelict buildings available to artists. Today these huge urban artworks add colour to a previously drab environment. Taking a Lisbon Street Art Tour will allow you to see the street art and learn about some of the artists and their backgrounds. Look out for the work of Vhils and Pixel Pancho, unusual in that they have been etched and sculptured to include the underlying brick and cement of the building. This sculpturing lends the artworks depth and form. 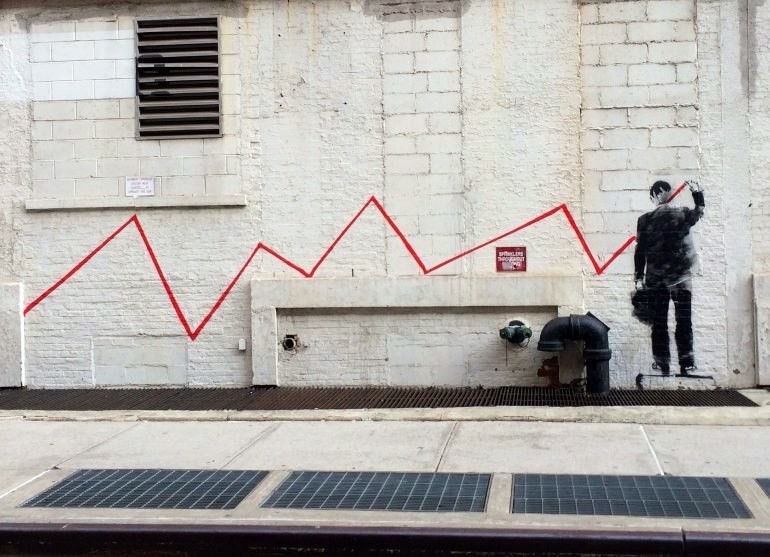 New York has a long history of graffiti, and of the struggles by authorities to rid the city of this art form. Graffiti as we know it was born in Philadelphia in the 1960’s, and it quickly moved to New York where it found many followers. 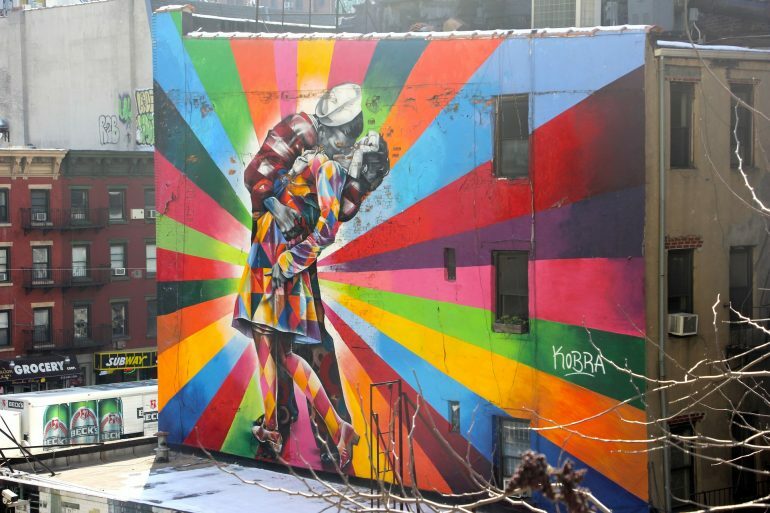 Today New York has a vibrant Street Art culture, and travellers who plan their trips carefully may even see the artists at work. Much of New York graffiti is legal these days, as businesses and shop owners have started to hire artists to paint drab walls and doors. In the Lower East Side of New York, seventy-five storefront roller doors have been adorned with great graffiti at the behest of the shop owners. Take the opportunity to see The Bronx Wall of Fame boasting the work of some legendary graffiti artists. It’s located at East 106th & Park Avenue. You can walk there if you stay nearby, take a local transport or rent a car if you’re located quite far from this spot. There are plans to bring this wall down and replace it with low-cost housing, so this may be your last chance. Get a tattoo in the Bronx, and view landmark graffiti at Tuff City Print. 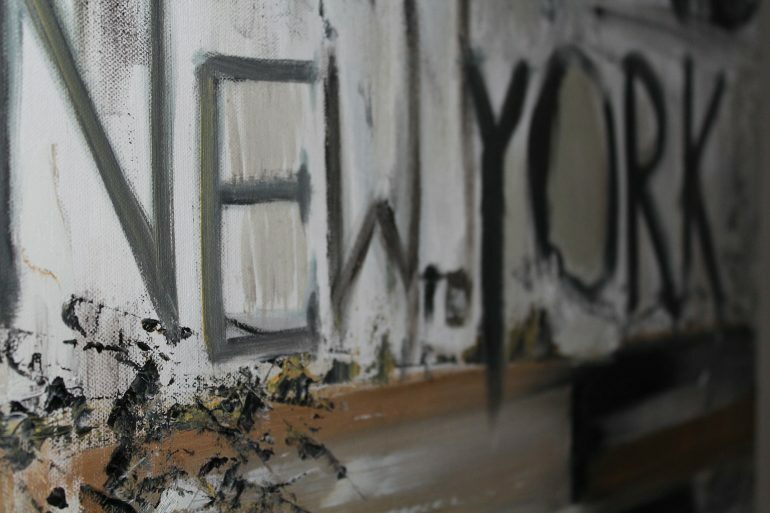 Join a graffiti class, run by graffiti artists, and you can walk the streets of New York viewing some of the best graffiti. Following which you will be given an opportunity to do your own graffiti artwork. Don’t leave New York without sampling some of the great international cuisines. Street Art in Santiago has its own unique flavour. It is bright and vibrant, and most of the artwork is modern and skilful. Graffiti in Santiago has been influenced by American, Brazilian and European street art. Some of the best street art has been influenced by resistance movements and is anti-establishment. Street art really took off in Santiago after the fall of Pinochet in the late twentieth century. In Santiago, entire buildings have been made into works of art. Spend a morning in Bellavista, where businesses have taken to the bohemian theme of the area by attracting artists and hiring them to paint their buildings. Visit the open-air museum Museo a Cielo Albierto, where the drab walls of this older area are covered with forty works of art. No need to plan this trip as there is murals everywhere. Arrange to go on a great street art tour or street artwork shop. There are plenty to choose from, and you can choose to walk, ride a bike or use a vehicle. The residents of Miami have become very involved in the arts following the decision to expand Art Basel into Miami. 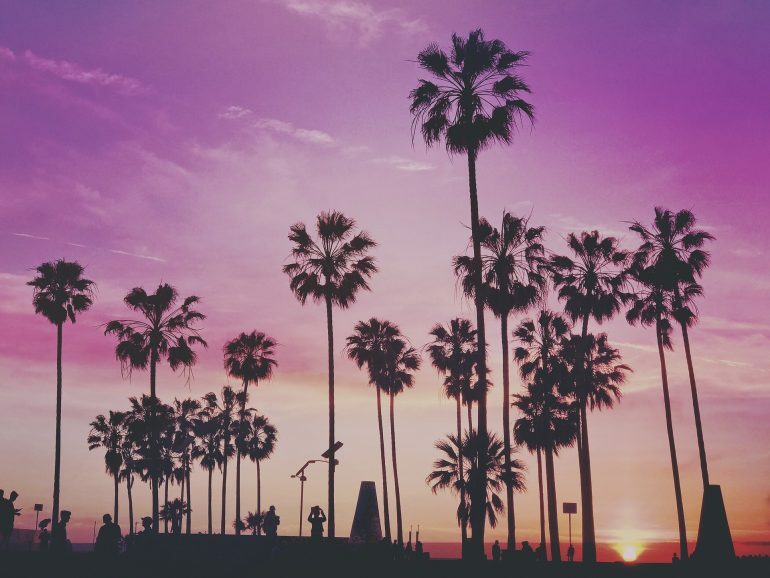 Art Basel Miami is now one of the largest modern art fairs in the United States attracting 77000 people every year. Where once Wynwood Art District was a group of empty warehouses, there are now over seventy museums art galleries and art collections in this area. 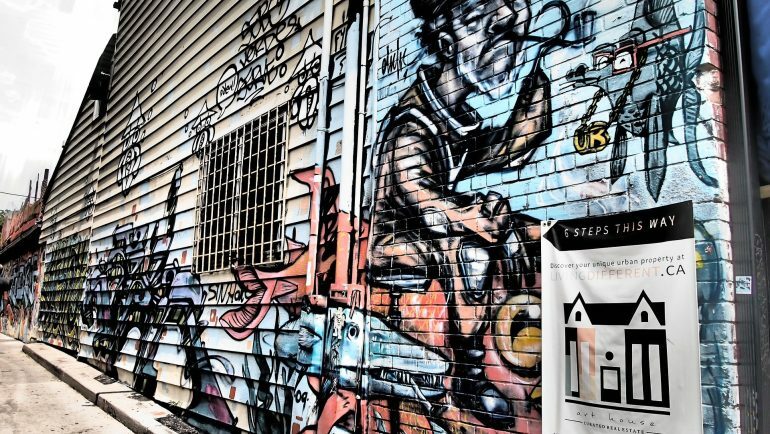 This unique environment is the brainchild of Property developer Tony Goldman who wanted to create the greatest display of street art ever and offered eighteen walls to street artists. Twelve well-known artists took up the offer. Following the great success of the project, other property owners allowed artists to paint their barren walls and now more than three hundred murals adorn these walls. Every year just before Art Basel in December artists are given free reign to paint the walls. The murals are constantly changing. Restaurants and bars throughout the area are all decorated with beautiful vibrant murals. Take a walk. Every second Saturday there is an Art Walk, which includes street musicians and the great food, for which Miami is famous. 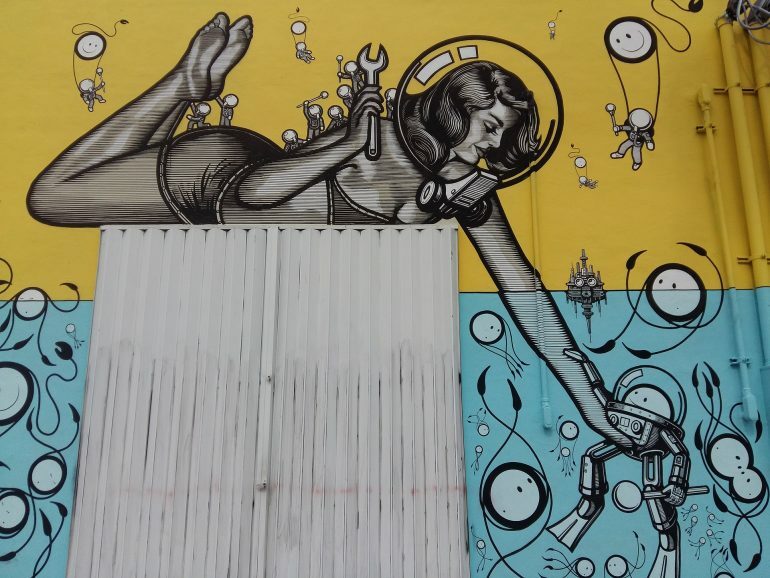 Visit Wynwood Walls, which offers the visitor great Street Art experience that is always changing. Take a trip to Little Havana created by Cuban exiles, you’ll find Cuban food, Cuban cigars and Cuban entertainment and of course great graffiti with a Cuban edge. Why not take a Self-guided walking tour and enjoy the great Street Art? Given the ephemeral nature of street art a trip to see your favourite street artists should not be delayed. In Barcelona the authorities are cleaning up the graffiti, in New York building requirements result in the loss of art and in Sao Paulo, famous for its vibrant art, the authorities are greying out the great street art much to the dismay of the residents. Planning a trip to see your favourite graffiti artists will take you places you’ve never been before. What graffiti would you like to see? I don’t really like street art or graffiti. It makes everything look ugly, in my opinion anyway. Thanks for sharing your opinion, Leanne! Love those photos, esp. the one in Lisbon. They really captured the graffiti v. well! It’s amazing how graffiti can change the dynamic of a place. George Town in Malaysia also had some great street art when I visited. Great post! I love traveling and seeing different kinds of street art. It gives each place its own personality. One time, I was wandering around San Francisco’s Chinatown and randomly stumbled upon a real-life Banksy that was protected with plexiglass. I was in such awe! Banksy’s works are truly outstanding, Valerie! 😉 Thanks! I wonder if the graffiti varies from country to country?! It must, right? We saw some in Iceland and thought they were really cool. Thanks for sharing these best graffiti spots! I saw a lot of Graffiti in Berlin and read a blog that highlights the huge amount of street art in Toronto, a city I would love to visit.